Like other mushrooms, shiitake aren’t really a plant, but a type of mushroom fungus. Shiitake mushrooms also go by the names black mushrooms, golden oak mushrooms, and dried winter mushrooms. While fresh shiitakes are readily available, the dried kind have an even more intense flavor and so they are sometimes preferred. 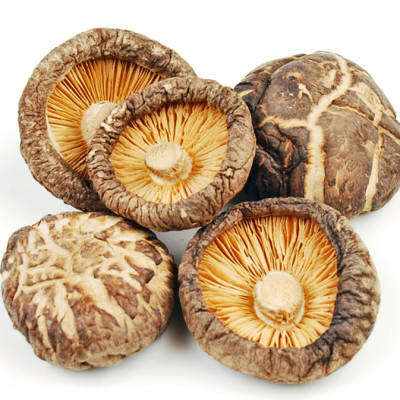 If used in a soup, dried shiitake can be added directly to the broth, where they’ll soften as the soup simmers. Otherwise, dried shiitakes need to be soaked in hot water before they’re used in a recipe. Product of Thailand.